The images that the word Indonesia casts in most of our minds is of beautiful beaches, lush green islands, appetizing seafood, and a lot more things which one can hope for on an ideal vacation. Even though one can find all the things mentioned above quite easily in Indonesia, one of the most difficult things to find in this country is unrestricted internet. The country consists of thousands of islands made from volcanic eruptions. These islands make up for some of the most popular tourist destinations around the world such as Bali. The country does not possess a strong infrastructure for telecommunication services because of its difficult topography. Still, the country is amongst the top ten countries when it comes to the sheer number of internet dwellers. This number is increasing at a rapid rate in the country with more and more people joining the online community. However, the government restrictions and censorships along with the unsafe cyberspace in the country appear to be the biggest hurdle for people to enjoy an open internet where they can express their views freely. VPNs seem to be one of the best tools to overcome this hurdle. One can use VPN services to get through the various restrictions imposed by the government. VPNs are also the best options to increase the safety of the user’s privacy and data on the internet. Let us have a look at some of the VPNs which are most suitable for use in this country. CyberGhost has got servers in more than 55 countries around the globe. A good part of these servers is in Asia which makes this VPN service one of the top contenders for a VPN to use in Indonesia. The servers can be sorted according to the use such as streaming and torrenting, which makes it easier for the user to find a server most suited to his/her needs. The speed on CyberGhost is not supposed to be an issue as it gives impressive speeds for most of its servers. More than 5000 servers in more than 62 countries says a lot for itself. This monstrous server network of NordVPN is more than capable of dealing with any regional restriction on the internet. The user will have more than enough options when it comes to finding a server nearby. There is no dearth of Asian servers in this Network. The no-logs policy, having Panama as the jurisdiction country, and usability along with the Tor service are some of the features which indicate that there is no need to worry about the privacy on the service. HideMyAss! 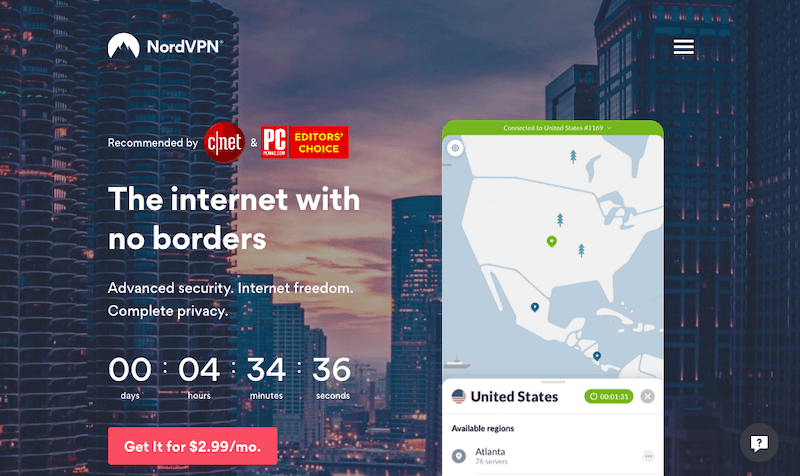 has made it into this list because this VPN service has a server located in more than 190 countries of the world. The service provides specialized servers for various activities such as streaming, and it has also got three different modes which make it easy for the user to access content from around the globe. The high-level encryption and the secure protocol keep the user safe from any threat on the internet. Out of the more than 60 countries where VyprVPN has got a server, 20 countries are present in Asia. This healthy share of server locations for the Asian countries qualifies VyprVPN as one of the services with the best server network in Asia. Another feature which pushes VyprVPN to the top tier is the internet speed on the service. The user can stream high-quality content with ease on the network or even indulge in online gaming. It also offers four protocols to the user which gives more adaptability to the user while connected to the network. There are not many VPN services which have better all-around abilities than ExpressVPN. It is a task in itself to find a flaw in this VPN service. There are 94 countries which have an ExpressVPN server, and it is needless to say that it takes care of the Asian region as well. The speed is often lightning fast on this service, and the broad platform support on the service ensures that all of the user’s devices have the VPN cover. Let us try to get into the details of the situations which demand for the use of VPNs in the country. The online censorship in Indonesia started with the aim to stop the flow of indecent content in the cyberspace of the country. The earlier emphasis was on banning the websites which deliver pornographic and obscene content. This move was much appreciated by the citizens of this Islamic majority country. The government made laws which were focused on banning all the negative content served to the users in the country. The aim was to keep only the positive content on the internet, and therefore it is locally known as Internet Positif (Positive Internet) in the country. The government created a list of all the URLs which, according to the government, were serving negative content, and directed the ISPs to block the access to these websites. This move helped the government in banning a lot of the negative content, but the internet is virtually limitless, and therefore, there were still a lot of the websites serving indecent content to the users. The government then came up with the concept of self-censorship. This called for ISPs to ban websites themselves if they view the content shown on the website as negative in any way. The citizens were also accepted to report inappropriate websites so that they can be banned across the country. However, the Indonesian lawmakers did a poor job while defining the negative content. Sooner, certain groups including the government itself started taking unfair advantage of this loose definition to get rid of any website which publishes content against them. A lot of the websites including the ones of media houses were banned for publishing content which criticizes the government or its policies. The abuse of the law was not limited to the political realm. Sooner, religion also got involved. Indonesia is a populous Islamic country, so it was only a matter of time when all the content incoherent with the Islamic principles was deemed as negative content. Individuals involved in such cases would often face heavy fines and imprisonment along with the usual mental and sometimes physical abuse. This was only the beginning of strangling of online freedom in the country. The government then strengthened the censorship laws even further. They made some amendments in the law which require OTT (over the top) services to have local servers within the country to be able to provide the services to the citizens. The OTT services include a lot of the services ranging from social media platforms to instant messaging services. The government also mentioned that they might monitor these servers to keep a check on these servers for criminal investigations. Again, the loose definition of OTT services and the clause to monitor servers for criminal investigations made way for the government to control a major part of the internet in the country. This can be seen as a direct blow to online freedom in the country. Numerous cases of the banning of popular social media services such as Reddit and Vimeo are not new in the country. A lot of cases turned in favor of the services when referred to the courts, but this should be an indication of the extent of the government’s intervention in the online freedom of the citizens. The government has now even started to invest heavily in their quest to gain control on the internet. The beginning of the year 2018 saw the government invest USD 14 million to get a new Internet Censorship system. This advanced system finds inappropriate websites and bans them from the country’s cyberspace. The introduction of this mechanism has led to an exponential rise in the number of banned websites in the country. Most of the banned websites do contain objectionable content, but there are a lot of others which seem to have been wrongfully banned. This censorship laws in Indonesia seem to be going along the lines of some of the most repressive countries in the world when it comes to online freedom, such as China. However, the extent of censorship in this country is limited to the banning of websites. The bans affect a wide variety of websites and applications which deliver content related to free political views, free religious views, sites representing the LGBT community, etc. VPNs can easily bypass the restrictions imposed by the government and provide the user with access to these websites. When a person uses a VPN service, all the internet traffic is first encrypted, and then directed through the VPN servers under a secure protocol. The encryption prevents the ISP (internet service provider) to determine the content inside the user’s internet traffic. Since the ISP can’t make out what website is the user visiting there is no ground for the ISP to block the content. As this encrypted traffic reaches one of the VPN servers, it is decrypted and then sent to its original intended location. The response or the content from the destination website again reaches the VPN server where it is encrypted. This encrypted response is then transmitted to the user’s device where it is decrypted once again for the user to see the content. During this whole exchange of information, the ISP can read neither the requests generated by the user nor the responses sent from the destination website. The transmission of encrypted information through secure protocols reduces the chances of any third-party intervention. Even though it will be tough to make any sense of the encrypted information, the protocols ensure that none of the metadata of the user leaks as well. Now it is not just the government restrictions which the user may need to fight to get access to the online content. Sometimes, the service providers don’t allow users from certain parts of the world to access their content. The VPNs can again help the user in getting through such restrictions. The VPN server will help mask the user’s original IP address, and the service will not be able to make out the location of the user. The only thing that the user needs to take care of is that he/she needs to choose an appropriate server location. It means that the VPN server should not be in one of those countries where the service is not available. We now know about the problem at hand, and also know that a VPN can solve the problems. But there are a lot of VPN services available out there, and it can be an intimidating task to find out the best service for Indonesia. We have already made a few recommendations at the beginning of this article. However, even we would like you to know more about the VPNs and thus make an informed decision when it comes to choosing VPN services. Let us briefly go through all the things that need to be kept in mind while choosing a VPN service to be used in Indonesia. We know that the servers present in this country are not very safe as they may be subjected to government monitoring at any time. So, using the servers located within the country will not be a very smart idea if online privacy is one of the concerns of the user. One should look for a VPN service with a lot of servers in the neighboring countries of Indonesia. The proximity of the server location will make sure that the speeds don’t suffer a lot because of the large distance between the user and the VPN server. When we talk of a lot of servers in the neighboring countries, we mean only those countries which support an open internet. There is no point in choosing a service which has a lot of servers in a country such as China. Indonesia has a poor image when it comes to cybersecurity in the country. Cyber attacks are quite common in the country and affect a lot of accounts around the world. Security on the VPN service should be among the top-most goals that the user needs to achieve by subscribing to a VPN service. Protocol and the encryption are among the key ingredients for a secure VPN service. AES 256-bit encryption is one of the best encryptions available. It is virtually impossible to get through this encryption without the key. It is also used in a lot of military operations around the world to ensure the safety of transmitted information. There are a lot of choices when it comes to protocols. Some VPN services even have their proprietary protocols. Security and speed vary over different protocols, and the user will have to pick one with the best balance between the two attributes. OpenVPN is often deemed to be the protocol which has the best balance. The Internet kill switch can be one of the considerations when checking a VPN service from the security point of view. It will help the user prevent any data leak because of the poor VPN connection. Majority of internet users in Indonesia browse the web through a cellular network. It will be a good idea to subscribe to VPN service which provides top-notch service with mobile applications as well. There are some other qualities which are not very relevant to the Indonesian case, but these should always be considered while choosing a VPN service. The service should not be based in one of the 14-Eyes countries and should maintain a strict no-logs policy. This is to safekeep the user’s privacy. There can be no negotiations with the internet speed these days. The average internet speed in Indonesia is already very less. The user should look for a service which does not compromise much with the internet speed.